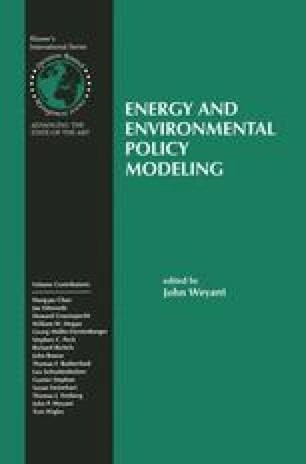 Network interactions in the electricity system create externalities that have precluded the development of a workable system of fully decentralized “physical” property rights for controlling use of the transmission system in an open access, competitive electricity market.2 Transmission congestion contracts provide a well-defined alternative mechanism to serve in the place of strictly physical property rights related to transmission usage. Any of a number of methods could provide an initial allocation of transmission congestion contracts. For instance, existing users might receive a designated set of contracts based on historical usage patterns, and then the remainder could be assigned to new users. With the availability of well defined transmission congestion contracts, it would be natural to employ an auction for allocating part or all of the contracts to allow for non-discriminatory access through a market mechanism. William W. Hogan is the Thornton Bradshaw Professor of Public Policy and Management, John F. Kennedy School of Government, Harvard University, and Director, Putnam, Hayes & Bartlett, Inc., Cambridge MA. He serves as Research Director for the Harvard Electricity Policy Group. The author is or has been a consultant on electric market reform and transmission issues for British National Grid Company, General Public Utilities Corporation (working with the “supporting” companies of the PJM proposal), Duquesne Light Company, Electricity Corporation of New Zealand, National Independent Energy Producers, New York Power Pool, New York Utilities Collaborative, San Diego Gas & Electric Corp., Trans Power of New Zealand, and Wisconsin Electric Power Company. Hamish Fraser, Scott Harvey, Laurence Kirsch, Richard O’Neill and Susan Pope provided helpful comments and assistance. The views presented here are not necessarily attributable to any of those mentioned, and the remaining errors are solely the responsibility of the author.